Did you know? 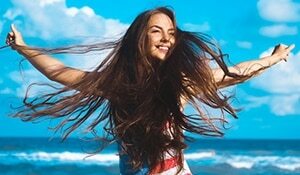 Poor hair growth is the biggest worry for most girls and we are sure you have tried every trick under the sun to coax your hair in growing longer. However, this is no easy feat, especially when regular trims are something you cannot avoid in order to keep your hair from developing split ends. You’ll be happy to know this is achievable with the help of growth-stimulating ingredients that will also help add volume to your mane. One such ingredient is onion! Onion juice helps boost the rate at which your hair grows. 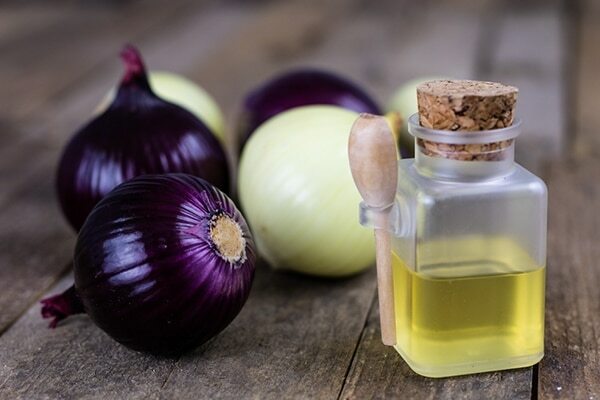 What are the benefits of onion juice? How do you use onion juice for the hair? Onion juice is rich in sulfur which helps nourish your hair follicles, minimises thinning of hair and hair breakage. The antioxidants present in onions help reverse and delay premature greying of hair. Onion juice also helps reduce dandruff as it has high anti-bacterial properties also stimulates your scalp and improves blood circulation. Onion juice can be used to treat dandruff, hair loss, dry or brittle hair, itchy scalp and infection, amongst many other hair problems. If damaged and unhealthy locks are making your life difficult, then make the most of this super easy DIY hair mask. This is the stinky hair mask you never knew your hair needed! All you need are two simple ingredients – onion juice and some cotton. Grind one onion and filter out the juice. Begin by soaking your cotton pad in onion juice and dab your scalp with it. Once you have dabbed your entire scalp, massage your scalp for a few minutes. Leave the juice on for about 30-60 minutes before washing your hair using a mild shampoo. Try this mask every alternate day for best results. This DIY hair mask will tackle all scalp-related issues while making your hair grow faster and thicker at the same time.